De Krans has a focused range of classic varietal wines, made by using special winemaking techniques, to distinguish this range, namely our Free Run Chenin Blanc, Wild Ferment Chardonnay, Pinotage Dry Rosé and Basket Press Cabernet Sauvignon. The white wine range consists of classic varietals such as Free Run Chenin Blanc and Wild Ferment Chardonnay (unoaked) with the addition of a wooded Portuguese style white wine Tritonia, a blend of Malvasia Rei and Verdelho. The diversity of the white wine selection and the unique flavours and winemaking methods implemented in the development of these wines are well worth noted. The Pinotage Rosé is a balancing act between a fruity character, a drier style of wine making and a refreshing acidity. We believe that Pinotage is the best variety to make a good quality dry rosé from. Apart from the Basket Press Cabernet Sauvignon, De Krans boasts with an impressive range of dry red wines made from Portuguese varieties. These wines range from single varietals such as the Touriga Nacional and Tinta Roriz to interesting blends such as A Twist of Fate and our flagship wine, the Tritonia Calitzdorp Blend. These wines, also known as our Terroir range, is the epitome of how climate and soil can come together to create beautiful red wines. Best known for their consistent exceptional quality of their port-style wines, De Krans offers a wide selection of different port-style wines, from the traditional Cape Ruby, Cape Vintage and Cape Tawny to the unique Original Cape Pink (perfect to make cocktails with) and the Original Espresso. The highly-acclaimed flagship port-style wine, the Cape Vintage Reserve, is truly in a class of its own and certainly one not to be missed. Additionally, the De Krans Muscat de Frontignan, also known as Muscadel, is a must have for winter or even summer, when you can serve it chilled. Moscato has become a very popular wine category all over the world in the past few years. Moscato is made from Muscat de Frontignan grapes with some added Muscat de Frontignan juice to sweeten it. Whilst bottling a small amount of CO2 is added to give it that slight fizz. Combined with a low alcohol of 8.5%, this wine is a must for any event. The Moscato Perlé range consists of the Premium Moscato White Perlé and the Premium Moscato Red Perlé (where a small percentage of Pinotage is added). 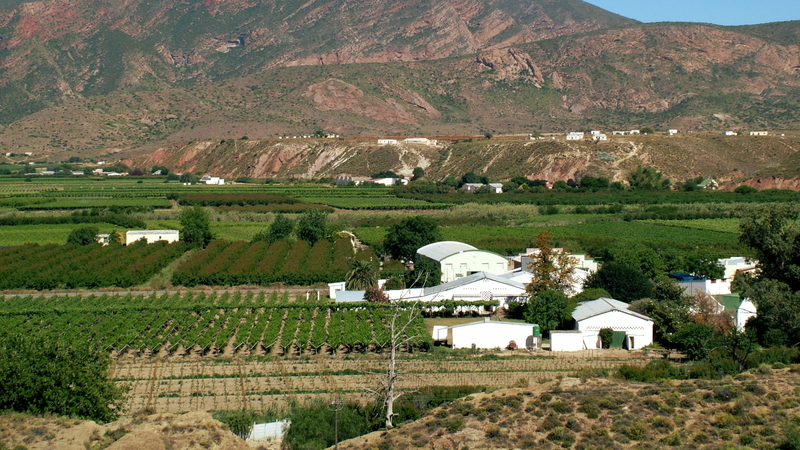 De Krans Wine Cellar is situated along the upper reaches of the picturesque Gamka River Valley near Calitzdorp. The history of the farm dates back to 1890, when it was bought by the Nel family. 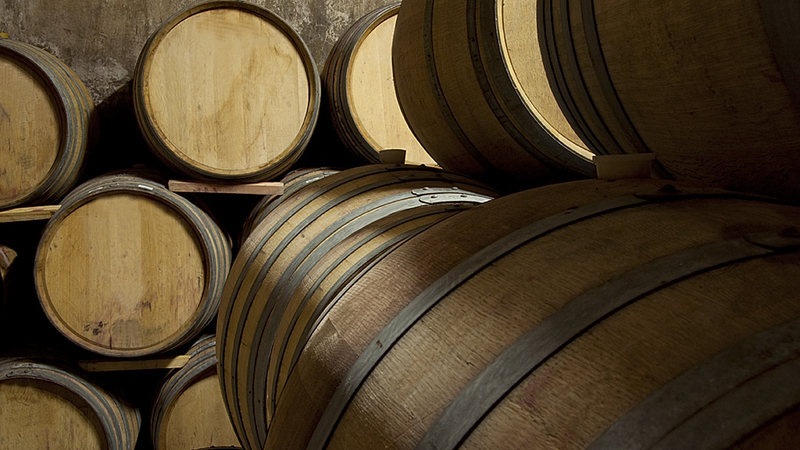 Since 1985, most of the classic Portuguese port and wine varieties have been planted. De Krans is widely known as one of the leading port-style wine producers, as well as one of the most innovative cellars in South Africa. 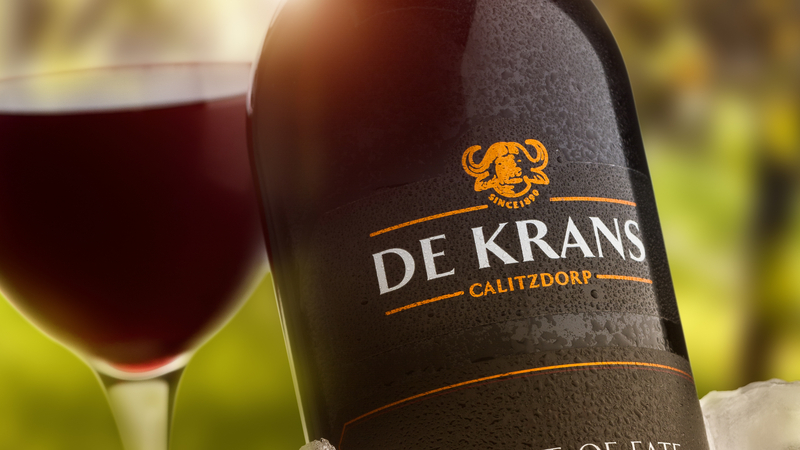 De Krans was the first in South Africa to produce a Touriga Nacional as a dry red wine, made the first Pink port-style wine, as well as the first perlé Moscato wine in South Africa. De Krans has recently been awarded for its innovation, winning the Most Innovative Wine Award for the De Krans Espresso at the Michelangelo International Wine Awards.